Cardiff to be Relegated - 8/11 at BetVictor. Ryan Fraser First Goalscorer - 15/2 at Ladbrokes. Cardiff City are the bookmakers’ favourites to be relegated this season. The best price you can find is just 8/11, which is available with BetVictor. While it’s hard to argue against their odds, they do at least have a kind trio of fixtures with which they open their 2018/19 campaign. After their trip to the Vitality Stadium they face Newcastle and Huddersfield, and Neil Warnock knows the Bluebirds will need to get points on the board from these matches if they are to prove the bookies wrong this season. But can they win at Bournemouth? Karamba don’t think so, as they price the home side at 21/20 with Cardiff at 11/4 and the draw available at 49/20. However, I highlighted a Cardiff win in my recent ‘5 Bets You Should Place Before the Premier League Returns’ article, and I also suggested wagering on Bournemouth to be relegated this season..
Eddie Howe’s side deserved to win just five home games in 2017/18 according to expected goal data, and only Stoke, with three, merited fewer victories on their own patch. By contrast, based on the underlying stats Cardiff were worth three points in eight of their away matches last season, and should’ve only lost four times on the road. The step up to the Premier League may prove too much across 38 matches, but they could definitely win this fixture. Promoted sides can spring surprises on the opening weekend too; Huddersfield won at Selhurst Park last August, and Hull defeated champions Leicester 12 months earlier. The last time these sides met on the south coast, the home side won 5-3. The first weekend of a Premier League season often sees plenty of goals too; only five of the subsequent 37 match weeks saw more goals than the first one in 2017/18. Can we expect many goals in this match? It’s hard to say as both have contrasting records. Only two teams in the Premier League had more games than Bournemouth which featured at least three goals last season. It happened in 13 of their 19 home games, including against all three of the promoted sides. The Cherries also kept just six clean sheets, which was the joint-fewest alongside Stoke. However, Cardiff’s Championship campaign was based on a solid defence and they weren’t a free-scoring side either. Warnock’s team had the joint-best goals against record, and only three clubs saw a lower total of goals across their 46 matches. The step up to the top flight is a tough one though; Newcastle and Brighton had the joint-best Championship defences in 2016/17, but conceded seven and 14 more goals respectively in eight fewer games in the Premier League last year. I therefore think over 2.5 goals is the way to go here, and it’s available at 13/12 with 888sport. As you would expect based on the above, the teams had very differing records when it came to the both teams to score market too. This has clearly made things tricky for the bookmakers, as they are all offering near identical odds for ‘yes’ and ‘no’ here. No ground in the Premier League witnessed both teams scoring more times than the Vitality Stadium did last year, and Eddie Howe’s team hit double figures for it on the road too. But only seven clubs in the second flight saw both teams score less often than Cardiff. I think the Bluebirds will struggle for goals this season, so Genting Bet’s 5/6 for a ‘no’ bet on BTTS looks good to me. Picking scorer tips for this match is not easy, as neither side had a consistent goal getter last season. However, Callum Wilson was Bournemouth’s most consistent goal threat, as he has been whenever his multiple injuries haven’t side-lined him. The former Coventry forward was the Cherries’ top scorer on home turf, and if he plays here he should be the most likely to find the net. 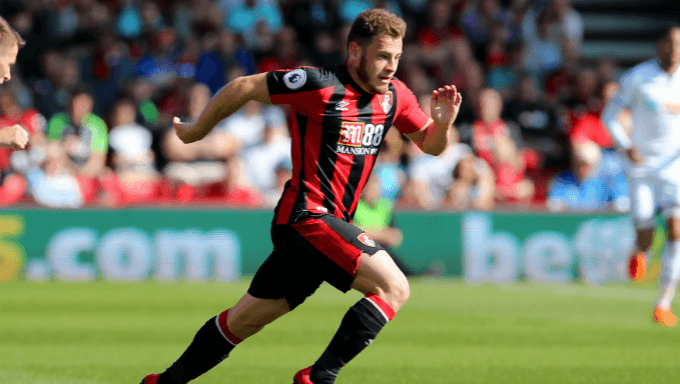 For longer odds in the first goal scorer market, it might be worth considering Ryan Fraser. He may have only scored five league goals in 2017/18, but four of them were at home, and four of them were the opening goals of games. Just 10 Premier League players scored first more times than Bournemouth’s Scottish winger did last season. He’s at 15/2 with Ladbrokes. As for Cardiff, three of their players scored at least nine league goals last term, and the trio of Callum Paterson, Junior Hoilett and Kenneth Zohore all bagged four on the road. However, only five players in the Championship scored more openers than Zohore, so if he’s on Neil Warnock’s team sheet then I’d definitely keep him in mind here.